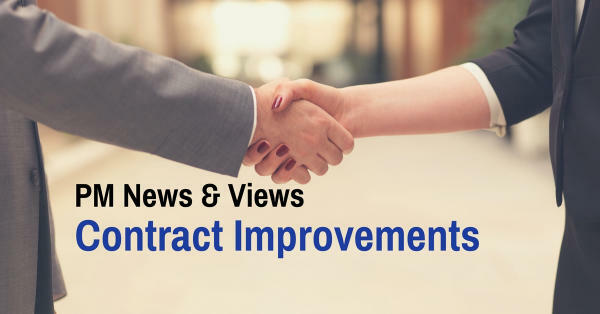 This week I had some contract issues to look at regarding an agreement with a supplier. Several areas concerning deliverables needed to be examined. I called the supplier to get more insight on what had happened. They said they would investigate and get back to me. Then I sought out my trusted advisors, who gave good recommendations. But something was still gnawing at me, so I called Bob, my older brother who has run a very successful business for many years. Bob said, "Thank the supplier for their work - everyone needs more thanks." He went on to say there will always be challenges in business, and that’s when we improve. This advice resonated with me. Yes, take the high road and learn from the situation. Doing so was definitely the best option for my business, in several ways. It would keep the business relationship (which is what a contract signifies), and would also keep me and my associates in a positive frame of mind. This last part, I believe, being the most important part of the lesson.